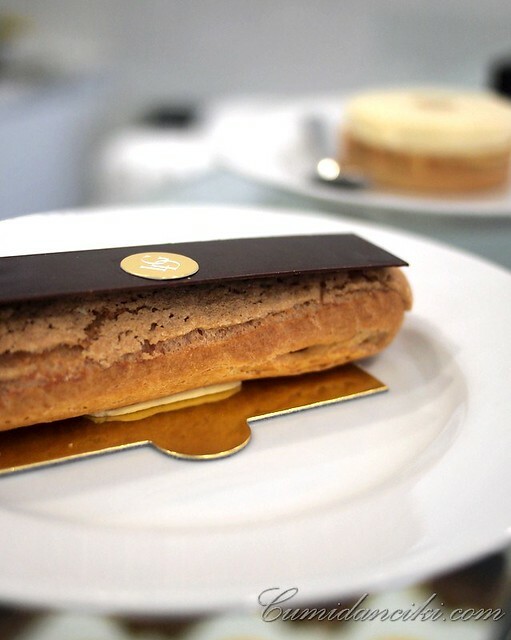 Tie back your hair, slip into a pair of comfortable Marc Jacobs ballet flats and grab your favorite Chanel bag, because you’re coming with me, to visit my favourite French Pâtisserie, Les Deux Garcons, on Jalan Telawi, Bangsar. 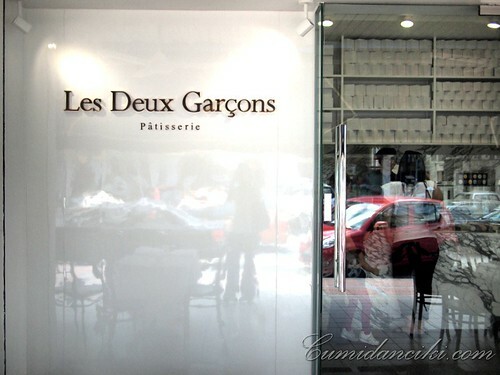 Le deux Garcons, Jalan Telawi, houses the finest authentic French Macarons, along with an array of other French cakes, and goodies to choose from.. all of which make delightful gifts or, perfect self-indulgences. I normally choose to self-indulge. There’s something almost clinical about this little shop that can be spotted across Telawi Street, gleaming like a white shiny diamond reflecting the sun’s rays, in the noon day heat. There’s also only a little spot outside the shop to sit and have a quick bite, so you best dress casually and lightly with the heat in mind. Oh.., I do like this place.. very much. Whoever came up with the idea to stick macaron pieces together, and inject them with different flavors of ganache, was a pretty smart guy. This small pastry that is crunchy on the outside and melting on the inside, is prepared with extreme care and precision. Almonds, eggs, sugar, and a pinch of a unique know-how are necessary for each unique one to be different form the other, ensuring that every macaron reaches the delicate balance between flavors and textures. The two boys at Les deux Garcons have perfected this fine juggling act, like no other place I know. 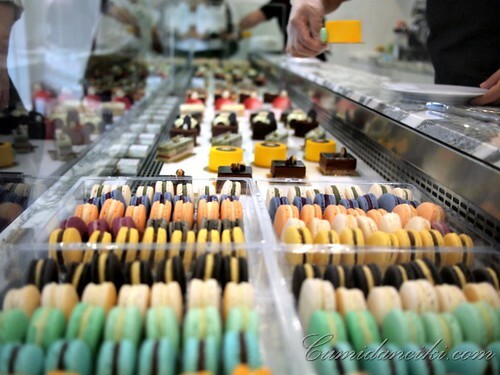 What I die for every time is the silky smooth ganache in their macaron and their exquisite flavours. None can come close. Truffle macarons are Les Deux Garcons’ trademark, but there are heaps of other flavours to choose from such as wasabi, pistachio, earl grey, sesame, caramel, mango, cassis, rose, raspberry & even a less novel dark chocolate. For those who are not too keen on macaron, there are always the other cakes. 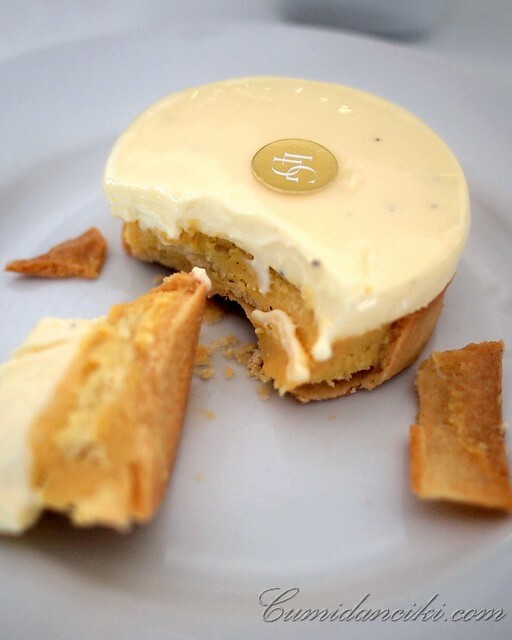 I highly recommend the Le Palladio – a crispy almond tart, layered joconde, topped with vanilla ganache and white truffle mascarpone. Very sweet but completely acceptable, especially when the musky, earthy truffle flavour hits your palate. Everything just blends into one big sinful mouthful of decadent smoothness. So amazingly addictive. I sit there in rapture, clicking my Marc Jacobs pumps on the walkway in approval and pleasure, as I dive deeper into my Le Palladio. The prices are not cheap, but they are pretty standard for what’s on offer in Kuala Lumpur at the moment. 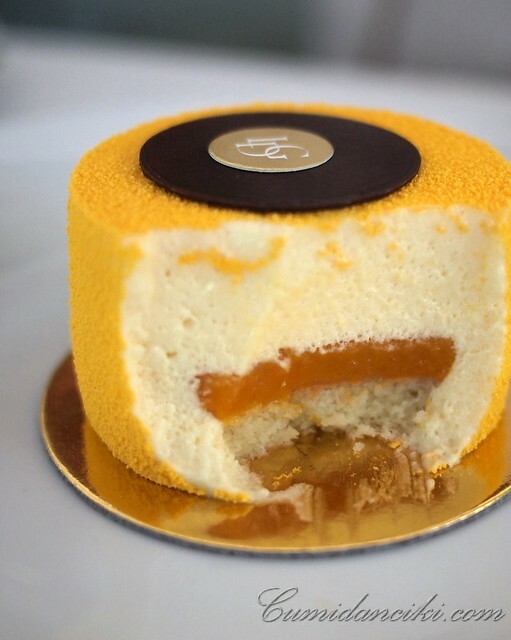 The quality of the cakes at Les deux Garcons, Jalan Telawi are fabulous – do yourself a favour and have tea there one day. You won’t be disappointed. wow rm22 for a piece of dessert? i need to go find my equivalent in melbourne, sure theres plenty but need to go find it..im missing my almond croissants! Le Palladio sounds so tempting! 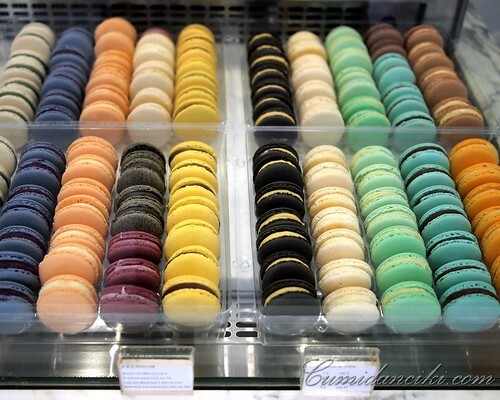 I’m not really a macaron fan but I think I could try out some exotic flavors they have there! tell me about it. It makes eating macaron feel like a ferris-wheel ride! Love it! I attended a baking class at Taylor’s college a while back learning to make macarons. under supervision from the lecturer-chef there, no problem. When trying at home, utter disaster, and I don’t have the proper training in basic baking to figure out what’s wrong ha ha. Easily the best dessert place in this town I say. 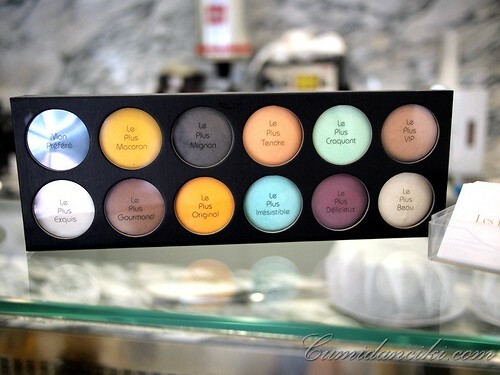 And it helps that they are super duper pretty too!